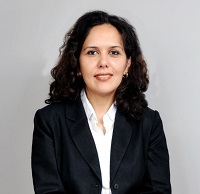 Dr. Natalia DeSilva was born to a Russian mother and Goan father, and grew up in Belgaum, a town situated close to Goa. After graduating from KLES Institute of Dental Sciences Belgaum in 2001, Dr. Natalia entered the prestigious SDM College of Dental Sciences at Dharwad where she topped the University during the 3-year Masters’ Programme. She worked in a dental college in Pune for 2 years before moving to Delhi to marry her college sweetheart Dr. Anupam. In Delhi, Dr. Natalia continues to study and explore the field of dentistry. She is very active in academics and is an Associate Professor at a dental school where she trains dental students in the field of Oral Medicine, Diagnosis and Radiology. Her interest and studies have more recently concentrated on digital 3D imaging with use of CBCT technology, dental implants, cosmetic dentistry, sedation dentistry, oral cancer and TMJ pain and bite problems. Dr. Natalia genuinely takes the time to get to know each and every one of her patients one-on-one. She has been commended for the excellent way in which she explains the entire problem and carefully takes every patient through the whole procedure, Her cheerful demeanour, and vivacious personality go a long way in making you feel comfortable at the clinic. Dr. Natalia is very good at handling children at the dental clinic, and is also an expert at managing patients with serious medical conditions that require careful treatment considerations. She strongly believes in Alternative Medicine as an adjunct to managing her patients, and is currently undergoing extensive training in Acupuncture and Acupressure to help balance out the side effects of oral medication. The only Russian-speaking Dentist in Delhi, when not caring for her patients, Dr Natalia enjoys spending time with her husband Dr. Anupam. In her free time she enrolls in programs that help street dogs, enjoys playing the piano and the guitar, plays basket-ball and makes candles!